In a relaxed and inspiring atmosphere, come and take your first underwater boat tour, discovering a beautiful underwater environment and the wonderful feeling of weightlessness. At your arrival we will equip you with all the equipment and then we will leave with our boat on a dive site. 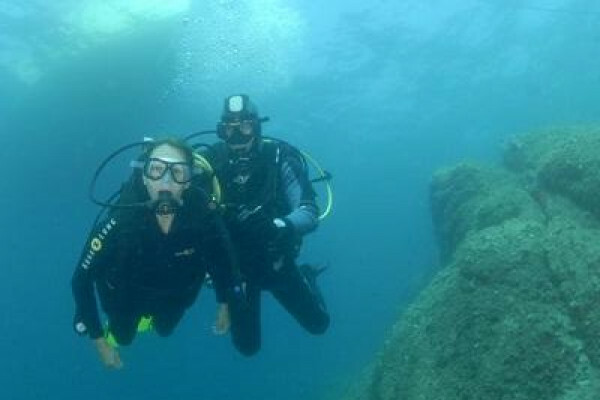 There you will dive for 30 minutes with a qualified instructor who will show you the richness of the marine environment. During the afternoon, the boat will remain on site and you will have the opportunity to snorkeling, swim around the rocks or rest quietly admiring our wild landscapes of Esterel or the Lerins Islands. Feeling weightless ... like a fish in the water! This activity is suitable for people with a mental or physical disability (difficulty walking, visually impaired, deaf, dumb). Highway A8: Exit 40 - Toward Théoule sur Mer - at the exit of Mandelieu, take the on-ramp right toward Port de la Rague.